The Food Alphabet and More: Beyond the Box Gadget Sale Wednesday is back!!! 20% off on select units and accessories! Beyond the Box Gadget Sale Wednesday is back!!! 20% off on select units and accessories! Gadget Sale Wednesday is officially back! Avail of up to 20% discount exclusive to BDO Visa Credit Card holders. Now available on straight and also on 0% interest on installment, payable in 3 months. 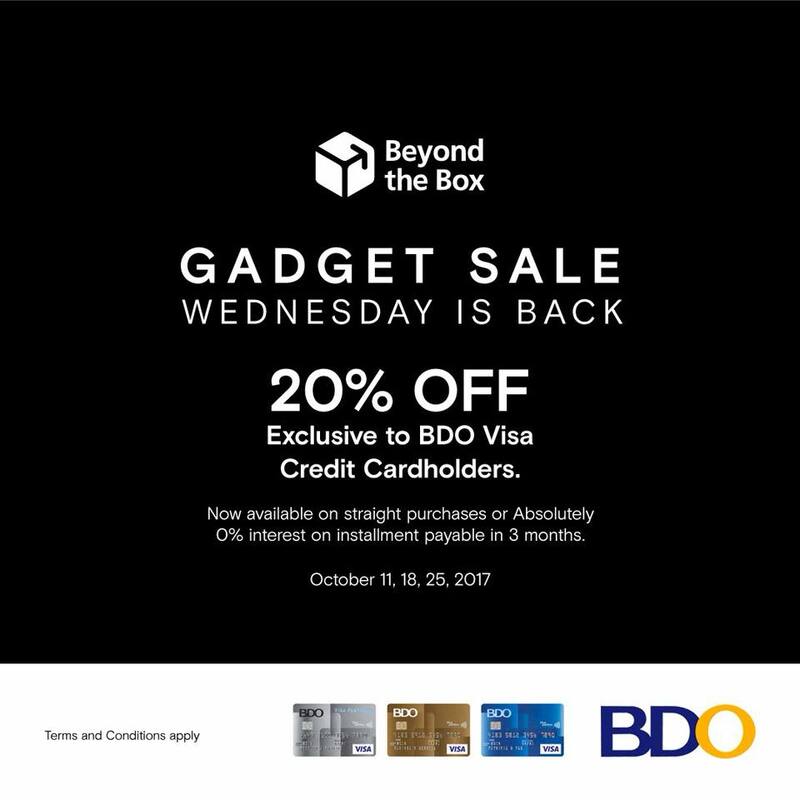 Get your favorite gadgets and fulfill your tech cravings with Beyond the Box and BDO Visa Gadget Sale Wednesdays! Gadget Sale Wednesday starts on October 11, 18, and 25, 2017. Terms & conditions apply.